Texture and Color are two great loves of mine. Not new news, right!?! The other day, I was browsing a local thrift store and found this brand new striped rug for $1. I didn’t need a new rug, but for the price, colors, and look I knew I had to buy it. I would find a cool way to use it. 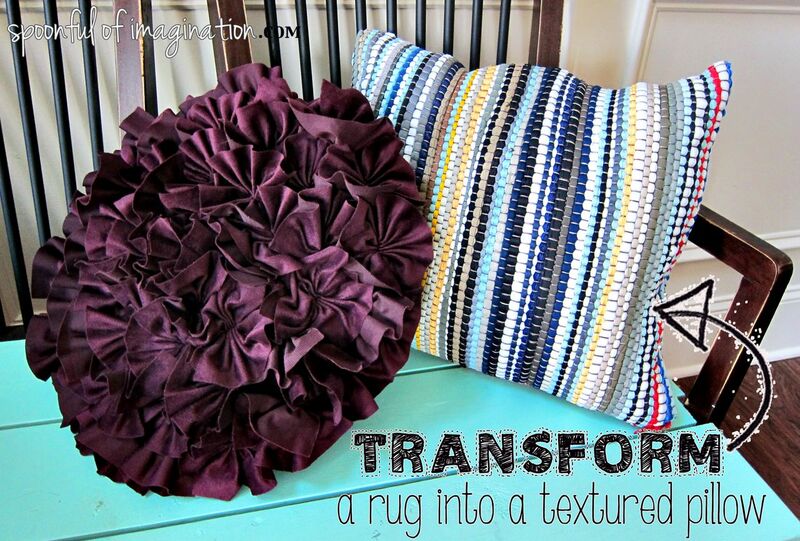 I brought it home, washed it, and decided to turn this little rug into a fun, textured pillow. The rug I found measured 19″ x 33″. 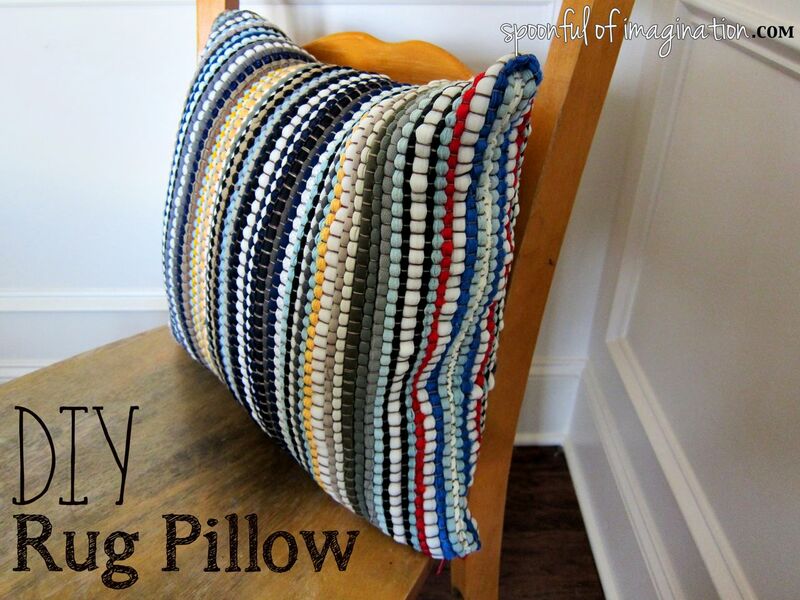 I figured I could fold it in half and make a cool horizontal rectangular pillow. I had a fun zipper already on hand that I wanted to use, and it just so happened to be the right length. I stole a pillow insert from another throw pillow we had and got to work. I sewed my zipper on and then closed up the sides. 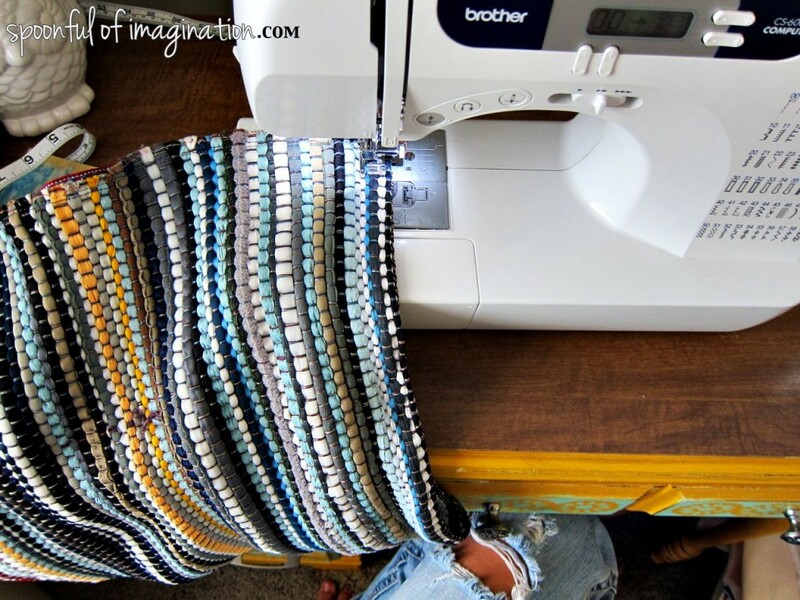 The print of my rug was useful in this process, as I merely followed sewing down the ribbon line to give myself a straight sewn line. After my zipper was on and the sides were sewn up, I turned it right side out and stuffed my pillow insert in. It was complete! 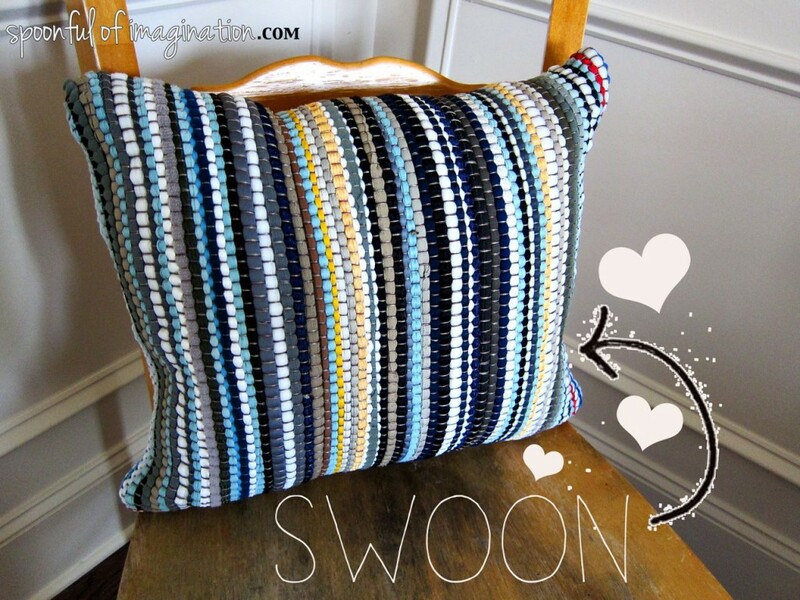 I love how this little pillow turned out! It was so cheap and the fun array of colors and texture make such a regular piece fun and lively. The zipper adds so much character with that pop of red and chunky design. I love it. 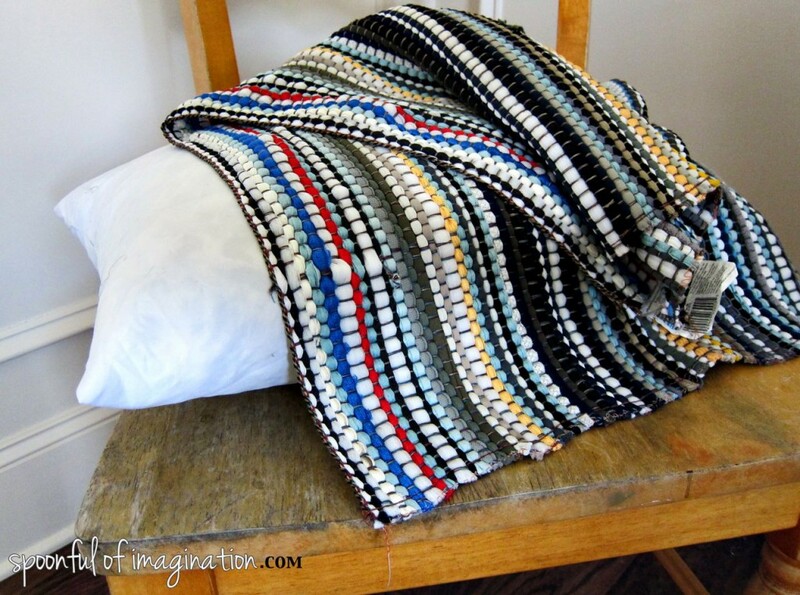 I now want to find more little cheap rugs that can be turned into pillows, as if my pillow obsession needs any growth. There are cheap rugs sold in so many places. 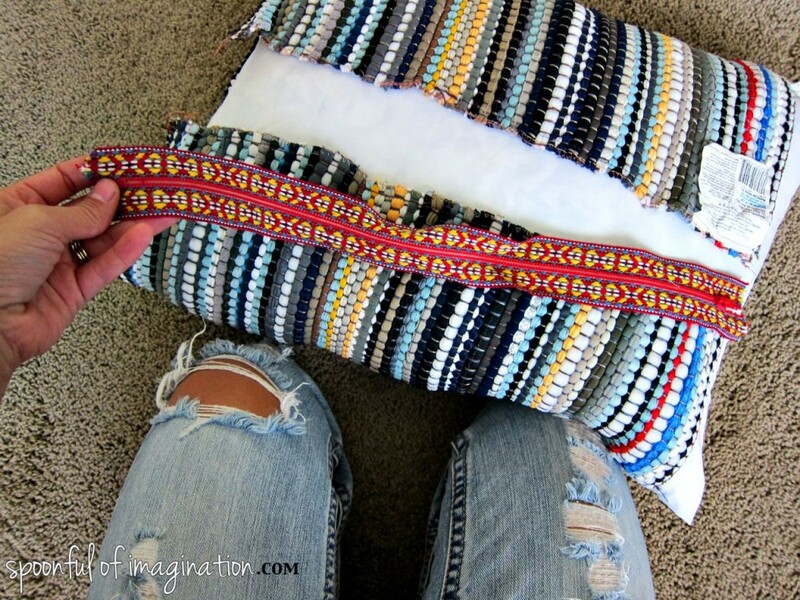 They may feel too cheap to be actually used as a durable rug, but they can make great thick pillowcases! I’m excited to find a place for this new decor piece in my home. 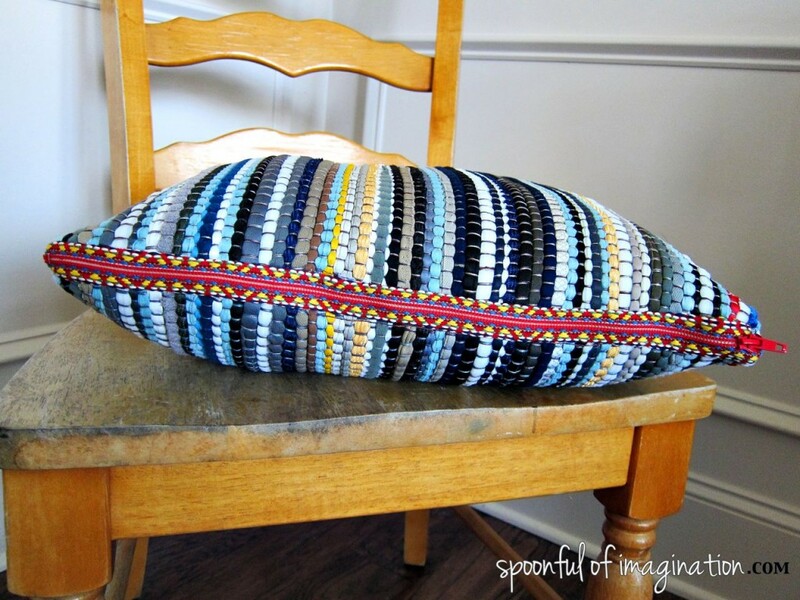 You never know what a spoonful of imagination can do to your decor when you repurpose an object in an unusual way! What a great idea! I would have never thought to do that!